Are you ever in a rush, but still want to look put together? You aren't alone. 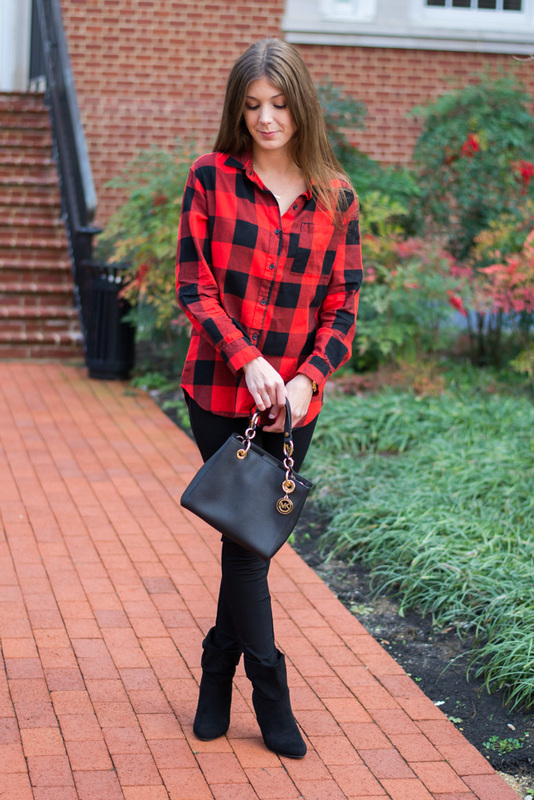 My go-to outfit when I'm in a hurry is usually always an oversized plaid shirt and leggings. 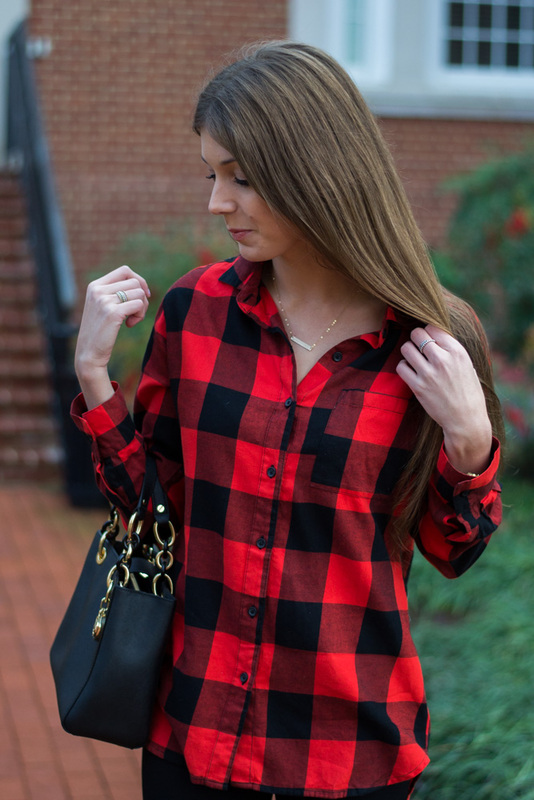 There is something about plaid that brings an outfit together, no matter if it's two sizes too big for you! I mean, if I was wearing any other top in size extra large, I would look like a slob, am I right? 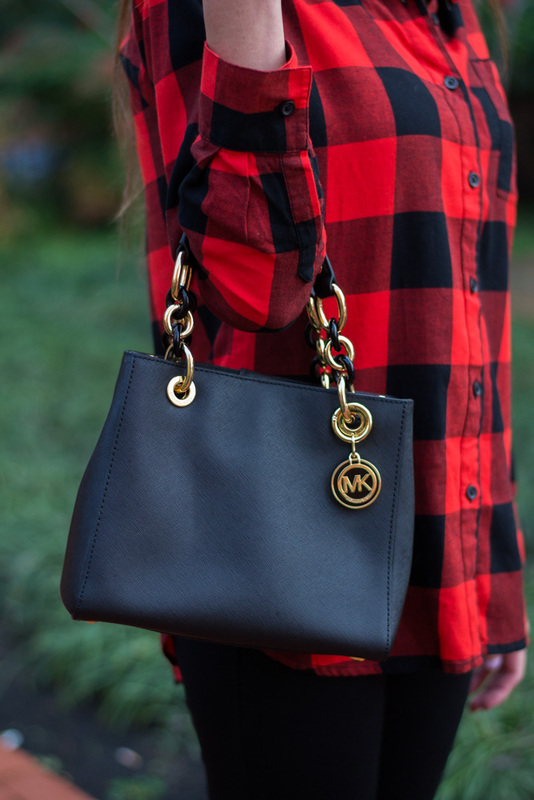 I have A LOT of oversized plaid in my closet! J. 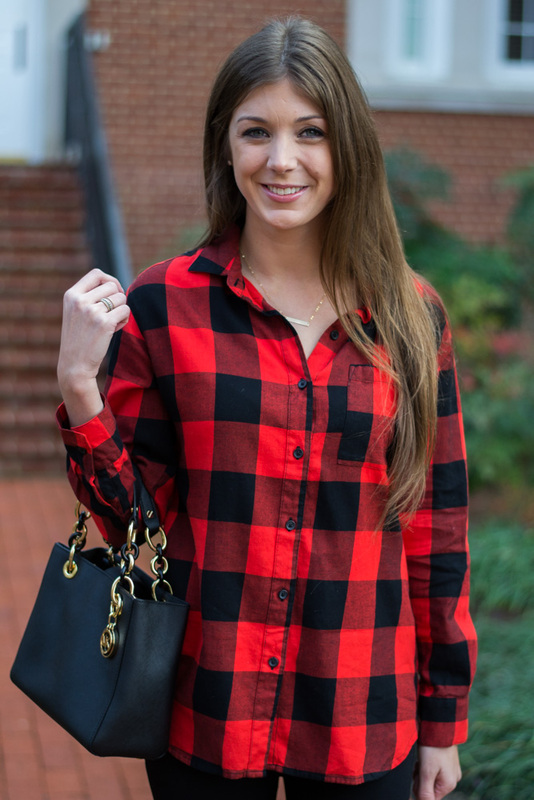 Crew has some cute flannels, but I tend to buy my shirts from their men's section. (No Shame). They have a much better selection and they also fit better. 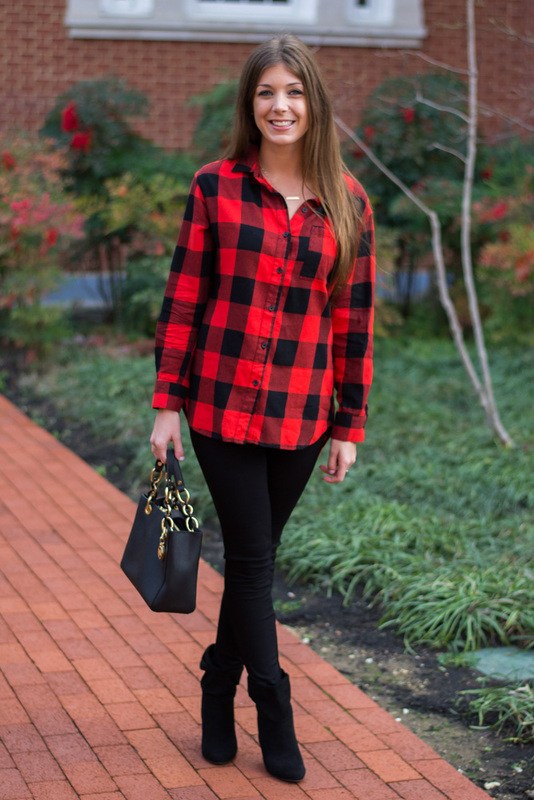 More of a boyfriend fit, which is great for the oversized look! 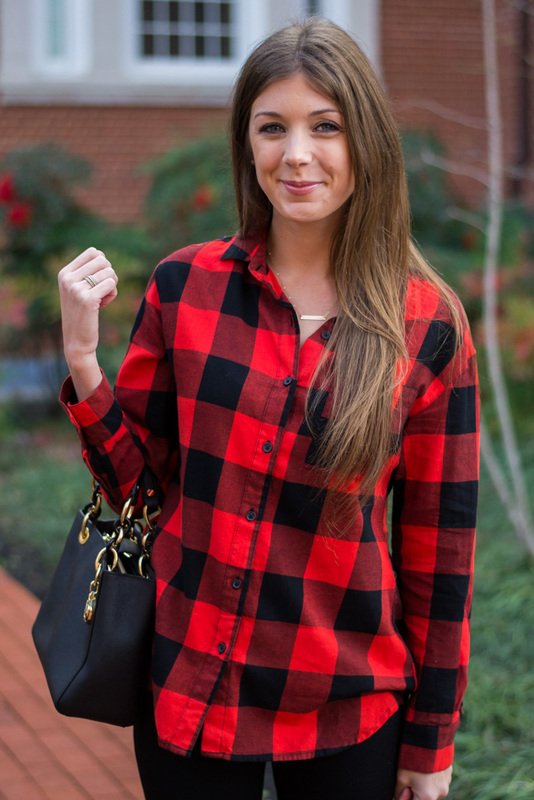 I've been loving the lumberjack look lately. I even bought Scooter a vest in this same pattern (maybe you'll see a blog post with a Scoot appearance in the future)! 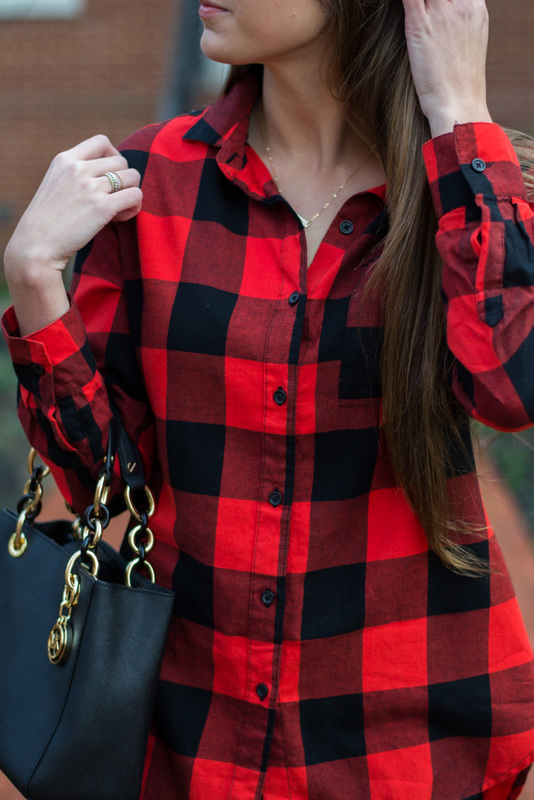 Sorry for the plaid overload this week.. but hey, you were warned!